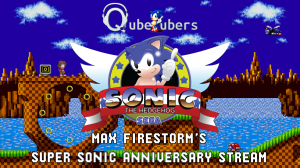 On June 23 in 1991, the first Sonic the Hedgehog game was released on the Sega Mega Drive and I’ve been a fan of the series ever since the beginning, so this Monday I’ll be streaming live on the QubeTubers Watch/Twitch page with a marathon of Master Emerald proportions! 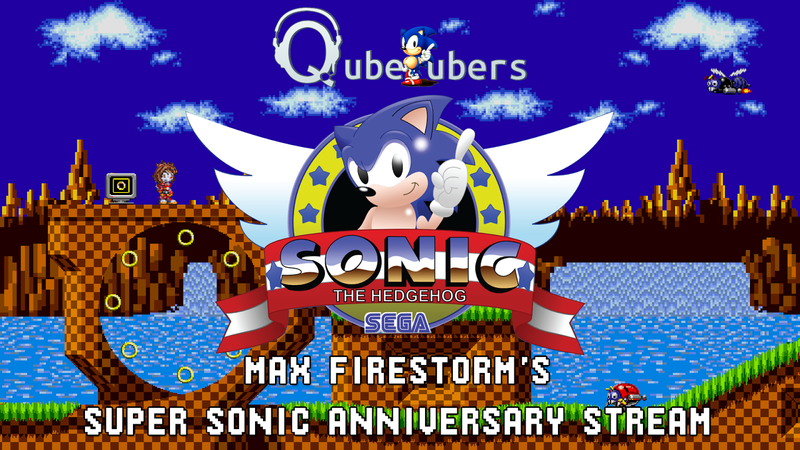 Hello everyone, I’m Max Firestorm, a new streamer to QubeTubers with information of a special event taking place this Monday, 23rd June! On that date in 1991, the first Sonic the Hedgehog game was released on the Sega Mega Drive and I’ve been a fan of the series ever since the beginning, so this Monday I’ll be streaming live on the QubeTubers Watch/Twitch page with a marathon of Master Emerald proportions! Starting at around Midday (That’ll be BST, or GMT+1), I’ll be doing full playthroughs of a couple of my favorite fan games, Sonic Before the Sequel and Sonic After the Sequel, taking place before and after Sonic 2 respectively. Once we’ve taken those on, I’ll be handing the game decisions over to you guys with a couple of community votes; one for Nintendo Wii games and one for PC games! to test just how good 23 years of practice with the series has gotten me. For the grand finale, QT staff and stream viewers can join me for an evening of racing in Sonic and All-Stars Racing Transformed! Don’t have the game? Don’t worry, the Steam Sale is on right now, so it’s fairly cheap; and we may also have a couple of giveaways throughout the day, so make sure you tune in to win. I hope to see you there to help celebrate the 23rd Anniversary of one of my absolute favorite series!